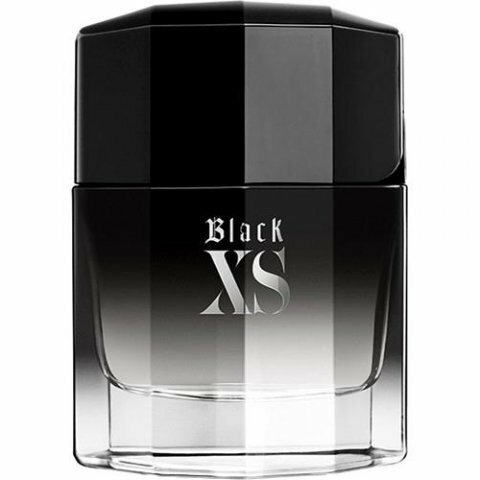 Black XS (Eau de Toilette) is a perfume by Paco Rabanne for men and was released in 2005. The scent is sweet-fruity. It is being marketed by Puig. The bottle was re-designed in 2018. The scent of this fragrance is quite musky-sweet. Its nice on the top notes and middle notes. The opening scent is too musky and not so nice. The top notes of this fragrance is quite similar to Dolce & Gabbana Light Blue. The longevity of this fragrance is quite good. For non 4-seasons countries, the longevity can be reach around 5-6 hours on day and extra longevity period is around 6-7 hours on evening and night. For the 4-seasons countries, the longevity is around 6-7 hours. The performance of this fragrance is quite good too. On the very opening, the musky is quite strong. When come to the top and middle notes, the sweetness scent will take over and its smell soft and gentle. The projection of the scent is very nice especially on the top and middle notes. The different characters of scents are performing differently on each notes stages. Its a good choice for a daily use. The sillage is good either in close or open spaces, especially on opening, top, and middle notes. The uniqueness of this fragrance is okay, especially on the middle notes. On opening and top notes, the scent quite similar to Dolce & Gabbana Light Blue. Plus, the uniqueness of the promotion, the bottle and the scent will give a quite surprise to the audience. Totally different. The bottle design of this fragrance is okay and with its own identity. Its like a drama, the bottle design is totally different than its scent. That is the main identity of Paco Rabanne Black XS. Yes, it's "sweet" indeed, as most people say. It's also soft and calm, nothing like One Million bomb. Both opening and dry down smells very alike, there's not much of a difference, like those fragrances that changes a lot after a few minutes. My thought at this scent it that it's discret, but fancy at the same time. It does project at a good rate, but its scent it's so soft and clean that people do not feel "invaded". Lasted a good 6-8hrs on my skin, projected for 3-4. A very vesatile fragrance, that one would use for almost any ocasion. Lots of caramel with a touch of lemon and some woods. Sweet and heavy, it's great, despite i prefer the original version. Great lasting power and sillage. "Black XS is elegant, refined and contemporary, an unplaceable scent, at once warming and cooling, and instantly mesmerizing, like a compulsively listenable rock album. (Olivier) Cresp used three terrific synthetics: the amazing Norlimbanol, which gives you the hypnotic smell of absolute desiccation (imagine the scent of total dryness); Z11, an utterly lovely dry wood scent; and Muscenone, an expensive synthetic musk that is creamy, voluptuous, powdery and amazingly deep — it builds and builds." I have a certain fascination with the 'true' ingredients used in fragrances. It's all very well to look at a pyramid and see things like Lemon, Ebony, Praliné, Musk and so forth ... but at the end of the day, pretty much everything that we smell in fragrances of the last century is made up of the clever manipulation of molecules ... synthetics derived from nature by various processes involving 'headspacing' and all sorts of fractal extraction methods. The word 'synthetic' imho should be taken to mean man-'made' and not man-'created', because ultimately most (if not all) of the aromas used in fragrance creation already exist in nature at a molecular level. Now, I'm no chemist and I don't allude to a pervading understanding of how it all works, except for the fact that I am fascinated by where all of it comes from. To assuage some of this interest, I recently ordered a kit online made up of aroma chemicals used in perfumery, and I can tell you that Mr. Burr has his information spot on! I am testing the raw material and the finished fragrance side by side ... Paco Rabanne's Black XS contains a solid dose of Norlimbanol, giving it the cool, dry, desiccated underscoring that this ingredient has become famous for. It's probably what the note pyramid is referring to as 'Ebony' and 'Patchouli'. I have another chemical in the set called Auranone which contains the expensive Muscenone referred to in Burr's article ... and this one is definitely also present in Black XS. I have always liked this fragrance ... from the very day that I first tested and bought it on the spot! Yes, it has a reputation for belonging in 'teen'-dom, but I don't really care because I do find it elegant and refined. I love that it is sweet and dry and woodsy all at the same time! However 'mainstream' this fragrance may be (earning the scoff of many a fume head) ... Olivier Cresp was rocketed to perfumery celebrity by this release. That has to count for something ... I, for one, find myself respecting his ingenuity. Turn the box of your newly acquired gem over sometime and take a peep at the ingredients ... where the word 'parfum' is listed, you can be pretty sure that it is a formula made up mostly of synthetics. "Knowing the desire of some women to wear men’s fragrances, it can be said that no woman would dare to wear Black XS despite its soft and warm woodsy notes and even sweet notes of the drydown", (taken from a description on another website). Well if that's what you think, bring it! Before spritzing this fragrance on to a piece of card, the sales assistant informed me that Black XS had a prominent cherry accord making it very sweet. Although cherry is not listed in the notes, the sales assistant was right, there is a definite candied cherry and berry accord. Don't be persuaded by the marketing scheme, Black XS can be unisex. It's sweet in the way that Joop! Homme is sweet. The syrupy notes of cherry and lemon are rich and strong in a way that does suit a man's skin, however the middle and base notes that look threateningly masculine to the ordinary reader, is not so on the skin. The drydown is a mixture of slightly earthy patchouli and soft rosewood. It sits rather delicately on both my boyfriend's skin and my own. The scent actually loses most of its strength in the heart, where it tends to settle into a light, almost non-existant woodsiness. The scent lingers for a relatively long time, however the sillage is pretty weak. I wanted this fragrance to have just that tad more strength so it could really strike me with its loud, rock n' roll slash gothic undertones.